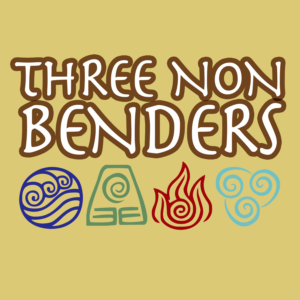 Three Non Benders is produced by Rachelle Martin, Tim Lawson, and Marissa Bickford. Our music is by Isaac Gilbert. We are not affiliated with the creators of Avatar: The Last Airbender or with Nickelodeon.